Wefarm, the knowledge sharing farming platform that enables more productive farming practice in developing countries, has been announced as the UK winner for The Venture, Chivas Regal Whisky’s competition to find and support social enterprses. Pioneers Post featured Wefarm in November last year, when we were excited by the rapid increase in its users. 25,000 users had registered by November 2015 – the number has now jumped up to 43,000 users, with a target of 2.9 million by the end of 2017. Farmers in developing countries use the platform to source the wisdom of the crowd about challenges in farming practices. As farms become more productive, they are better able to provide for the communities they serve. A new Fairtrade initiative in Myanmar should mean that the seeds of ethical trade are sown in the country. Since elections in November last year, it has been possible for Traidcraft, one of the five founding members of the Fairtrade Foundation, to engage with rice farmers to work on Fairtrade certification. With one in four people in Myanmar living on less than two dollars a day, a fairer deal for producers is welcome. 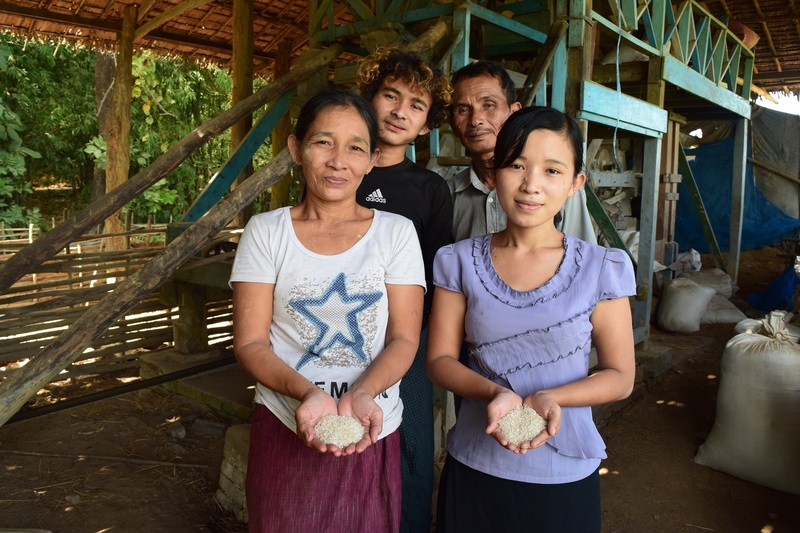 Farmers in two villages in Western Myanmar are currently undergoing certification, which ensures equal pay equality, no child labour and supportive trade structures. What better way to remember an influential figure in the social enterprise world than an annual competition which rewards innovation leading to practical, sustainable social change? Stephen Lloyd is credited with having the idea for community interest companies, the UK legal form for business that enabled entrepreneurs to trade for both personal and societal gain. Lloyd died suddenly whilst sailing in August 2014 and the award was established by friends and admirers wanting to preserve and perpetuate his memory, ideals and legacy. As well as funding of up to £20,000, the award offers pro bono business support from philanthropists, social investors, lawyers, accountants, governance and management specialists who support the awards. The award website states that ‘the awards committee is particularly interested in supporting ideas that address social problems at a systemic level'. Interested parties should apply here. New Zealand’s youth social entrepreneurship accelerator Live the Dream is nearing its final stages. The charity Inspiring Stories has covered the cost of 50 participants aged 17-30 taking part in a full-time, nine week accelerator programme, at a cost of $NZ3000 each. Participants have identified a social or environmental problem they want to solve and have produced business models that offer solutions, together with a social good; in other words, social enterprises. Live the Dream runs in the three biggest cities in New Zealand: Auckland, Wellington and Christchurch. The final pitch nights happening on 16 and 17 February in the three cities will mark the end of the programme for participants. Projects up for scrutiny include well-being classes for the less well off, tackling recidivism through photography, and exercise classes that focus on vitality and self esteem rather than having the ‘perfect’ figure. The University of Northampton has set the standard for ensuring major construction projects have a positive social impact in the UK and India’s TATA Social Enterprise Challenge winners are announced. UK Cabinet Office minister heads to distillery in Scotland to celebrate social enterprise while other sector leaders spread the word in New York.